Considered to be a master of the essay, Meyer Schapiro (1904-1996) was a prolific art historian and critic who taught at Columbia University for over forty-years. Writing with the sensitivity and erudition that made him one of the most illuminating and accessible writers of his generation, Meyer Schapiro offers a fresh and exciting new look at the "Impressionist family". He bypasses the popular preference in art-historical writing for a strictly theoretical point of view and employs a broad range of contextual themes -- art history, economics, politics, philosophy, literature, science, and even environmental history -- to examine the Impressionist painters and their works within their original cultural settings. 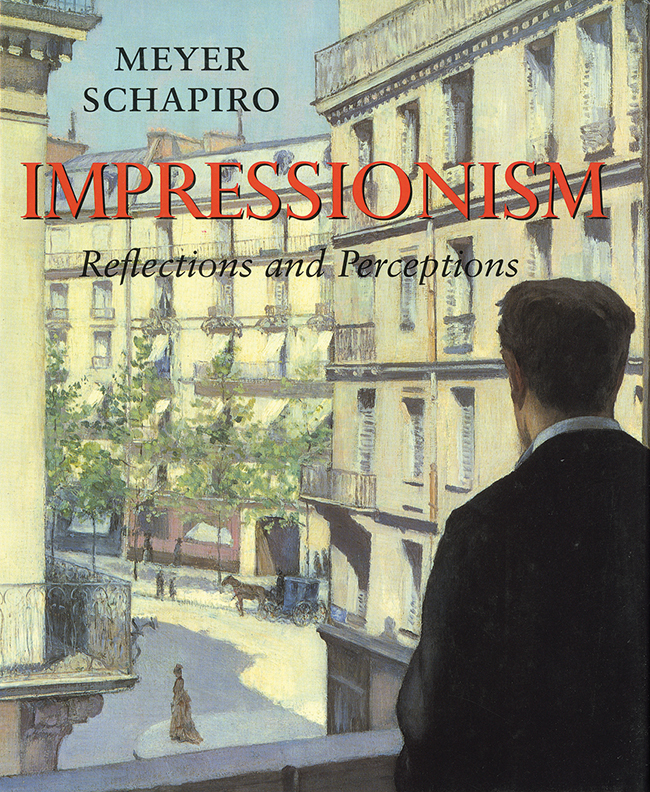 Exploring minute details and broad, historical trends, reaching back into eighteenth-century history and ahead to Abstract Expressionism, Schapiro provides a unparalleled aacount of Impressionism as a turning point in the history of modern art.